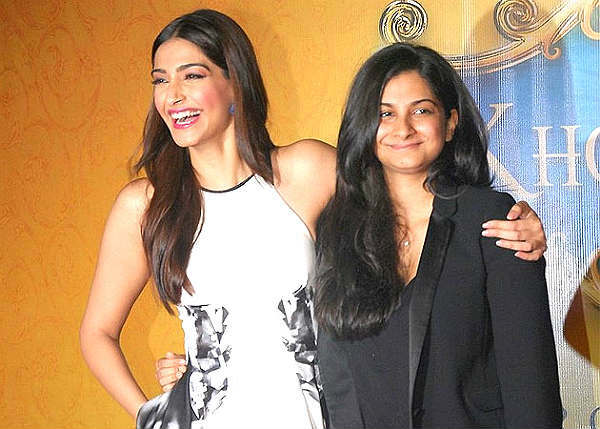 Bollywood actor Sonam Kapoor says her younger sister Rhea Kapoor was judged when she started out as a producer because of her gender. "My sister went through it (discrimination). She was 21 when she produced her first film. And my father (Anil Kapoor) unfortunately was not here, he was shooting in Hollywood, and my sister had such trouble getting finance for the films because they thought she is 21, despite having an outstanding script and something completely different," Sonam said at the L'Oreal Paris Women Of Worth Awards 2016, which honours women for their achievements in various fields. "But even though everybody thinks that we come from a certain family, and it's easier (to produce), in fact it gets tougher because people don't want to invest money, first of all, because of the gender issue. Though she is extremely capable, she was really judged for being a woman. If it was a 22 or 23-year-old man, it would have been completely different," said the Neerja actor. Rhea had started out as a producer with her sister starring in the film Aisha, which released in 2010. The film couldn't create magic at the Box Office, but she bounced back with her sister again in Khoobsurat, which turned out to be a successful film. "I feel that the field of art is specially male dominated. Sometimes as a woman, I feel because we're so sensitive, and when you go through a lot of discrimination, or you go through things in life, you become a better artist. And I feel women are better artists because of it (discrimination)." Unfortunately, we associate certain categories with only men. We are very talented women, and according to me, we should totally run the world. I've always stated that I'm a feminist and I'm not embarrassed to say it at all and I've been saying it since I was 21, since I joined this industry."